Well not filled this in for a few years! The main news we getting the first ever sold Ultra Violet computer in the world from Stepehen Hawkings Lab in applie dmathematics at Cambridge. More on this soon! Lots been happening - we have a new Cray - a gs6400, 60 processor superserver. It was used at chrichils insurance and cost about 4 million dollars - its a working system. Here is a picture with Pete Cooper (left) and Pete Turnbull (right). We also have a mimi 803 uk micro, lots of components from a company that shut down and a Vax 11/750 from Sweden. 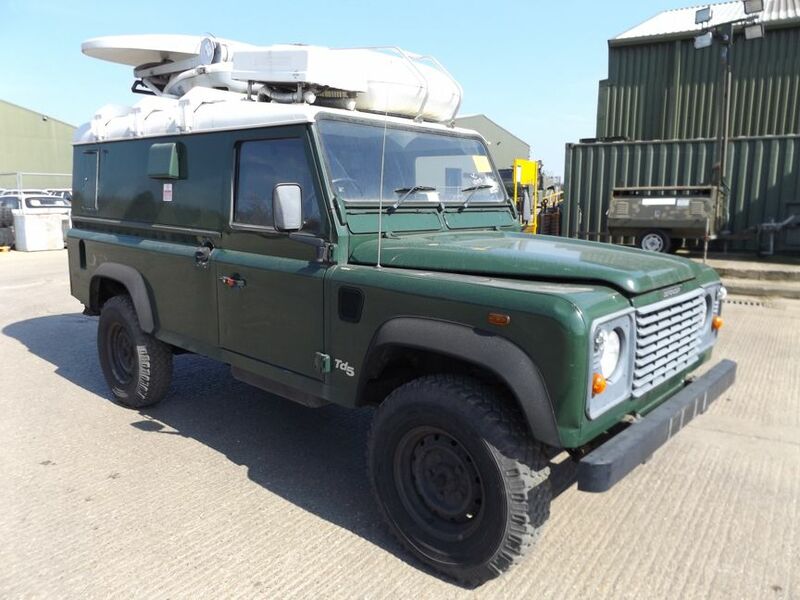 We have the new Land Rover 110 Satellite communications vehicle, used by MOD and called DAGGER. 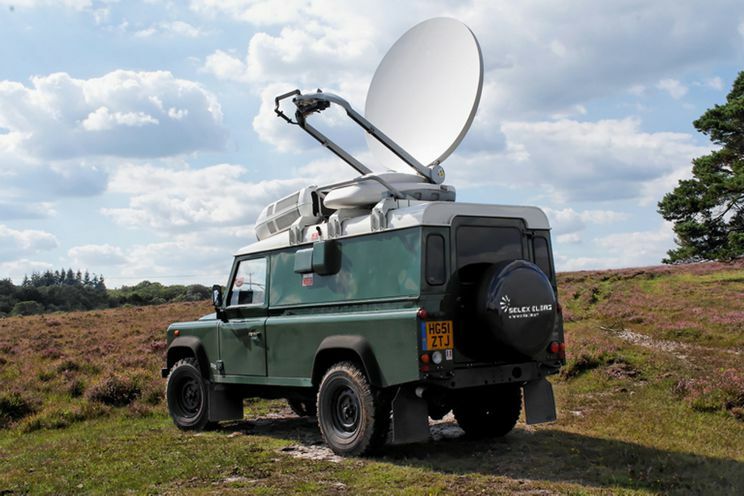 The Land Rover from the Selex/BAe brocure, with dish deployed. Hello to all those who saw the Colectahollics program! The IBM s/390 lives thanks to Roy from IBM. An AS/400 was donated a few weeks ago by Ed Bourne. Thanks! We have been very buisy in the sheds - tidying up. We now have a 3D cinima, based on Barco projectors from Newcastle University, running on a Nvidea Vision 2 setup. Adding surround sound next! We (the sheders) have been buy over the last few months. The IBM mainframe is coming together with the help of Roy Biggs from IBM. We have restored a PDP 8. New members of the sheds include a PDP 11/570, an SGI Onyx 4 virtual reality system from Newcastle University and a vast array of dec boards from New market. We are having a tv film of the collection - more on this soon. Some big news on a Sun computer that we have too. The site front page has been updated and the sheds christened the computer sheds' - hope you like it. The rearrangement of the collection is finally compete, we can now show people around. Given that, there is still a lot to do to get every thing in order. New additions include a HP server and a PDP 11/24+. The sheds are now in some sort of order, so if you are thinking of visiting - now is a good time. We have acquired some new items including a pdp 11/05, a BAe guidance computer and many other items. We believe we have a Sun 1 badged as a cadlinc in the collection - we are investigating! Added some details of our Prime 550. 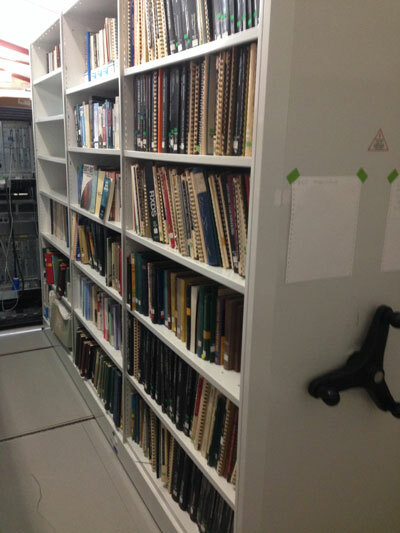 We have been given 600 old computer books from the university of York library. makes a fine collection of books from 50's to present day. 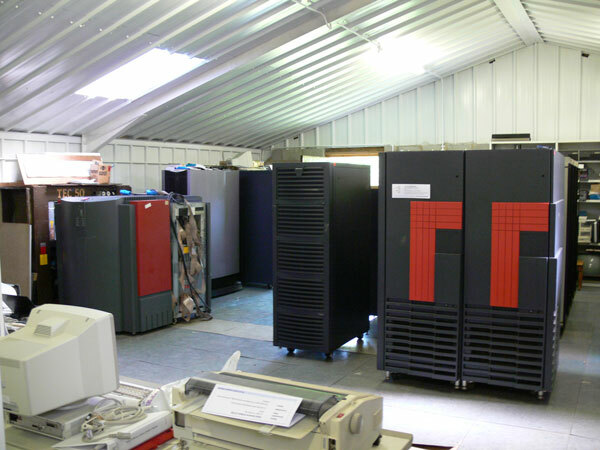 The collection is almost sorted - the IBM mainframe, cray's and others are now on display! 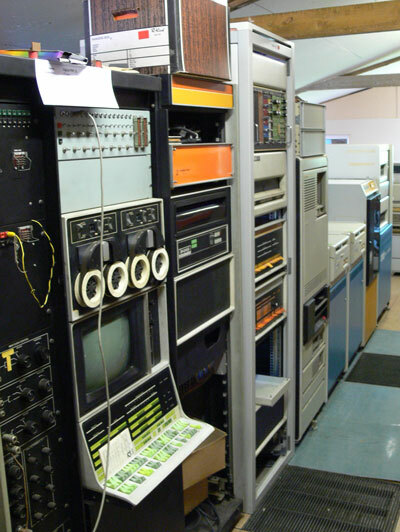 VIew of PS2 and some of the dec pdp 11, 12 and 8 - and a vax. View of Cray corner in PS3 shed (Pig Shed 3). Some of the helpers - (left to right) Jim Austin, Graham Whitaker, Pete Turnbull, James Carter, Richard Fuller and Pete Cooper on the front row. Lots happining - floor should be complete this weekend so we can start on getting the systems going. We have aquired a large collection of systems from a local collector and a Digital PDP 11/70 system, which will go into our dec shed - these should arrive in the next month or so. We have had donated a SAIC ruggidised sparc station - very nice machine. More footage of the floor going down http://www.youtube.com/watch?v=icGAq32YW9k - have aquired a Ferranti Argus 400 computer - more soon. So the raised floor is now half done - looking good - and quite flat. amazingly - the first enry in this blog 12 years ago mentions the floor - took a bit of time to get it sorted! Number of new donations and aquisitions - including, line analyserm ASR 35 tty chasis, lots of hand held computers, a large number of books and magzines and a Ferranti Argus 400.
we now have about 15 volunteers - now getting together almost every other saturday at 11.00. Next is the 14th december - volunteers welcome, drop me a line. Shelves are now up - just need to sort the raised floor! Resurrected an amstrad CPC- see the movie here! Things are moving on in the shed - we now have a large set of archive storage shelves - we have a video of the build - put up with some effort! WE are getting a steady stream of new acquisitions, apples, VIc 20 among them. The Sol, a Altair 680 and a SC/MP system have arrived in the collection - really great machines. Lots happening, with interesting items and people visiting. The latest large question is a Compaq eva 5000, with about 10Tb of disk in 168 drives! The reorganisation has sorted all the equipment. Its now reasonably well laid out with room to see the machines. Its been a massive effort from the team, we now have approximately 250 machines on show! The IET visit on the 16 March. Next plan is to sort the floor so we can fully set up the main frame. Pending new arrivals are a Altair 680, a sol and working SC/MP development system - more when they arrive! Took a punt and bought some ex mod kit - turns out it has a HM1802A in it, the first CMOS 8-bit processor. The machine is dated 1984. A great new year to everyone. The sorting out of the buildings is going a pace, with things being cleared to take to raised floor. If you would like to help let me know! The data General novas arrived, four machines with spares - a great set of kit. Other IBM tape drives arrived, along with spares and other bits - hope to put up some pictures soon as they are great. The IET meeting and various visits have been moved to next year to allow us time to get organised. Its going well, but a big job sorting it all out. The merry band of shifters is making good progress! Have found some IBM tape drives and related kit which will arrive soon. Looking forward to set of Data General systems arriving soon too. Been busy setting up a new shed - we are planning to spread things out so that people can come and see the items, also people can come and help get them running. There will be an IET meeting here in December - hope to have thing sorted out a little for then. Managed to find a Friden 132 calculator - one of the first. Lots happening. 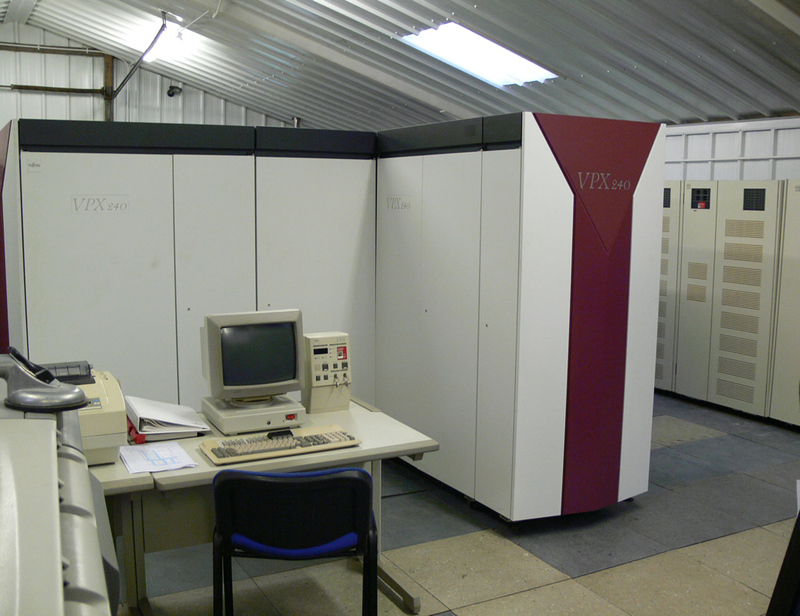 A PDP 11/60 arrived in the collection along with a Nixdorf 8860. Lots of more DEC PDP 11 equipment from Drax power station, and lots of visitors. Tim and Lisa Robinson visited from th US to take bits of orion's away. These will be used to rebuild Orion number 2 to be given to the computer history museum in the US. Added a full description of the Convex c220 supercomputer which seemed to get left out of the main list - quite a machine. Almost completed the instillation of industrial racking to display the machines. Added information on the NEC SX 4b supercomputers and the Sun Enterprise E10K. Updated and checked the links on the other sites page. Kitting out the sheds with some warehouse shelving to make more space and tidying things up. The DEC kit arrives. 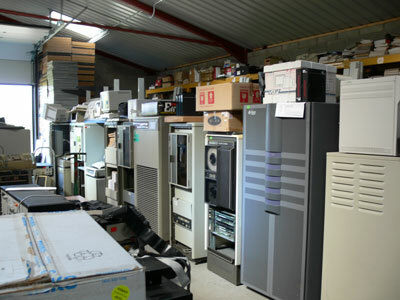 9 machines in racks, with lots of spares, manuals cables. Running out of room! A large collection of PDP 11 equipment is starting to arrive, initially over 200 cards for various PDP models - the total collection is over 600 items. A number of racks will arrive in a few weeks. A Ohio Scientific Superboard II 6502 8K RAM arrived thanks to Paul Swarbrook. Had a good time at the Dec event in windermear. We took PDP8a, 8L, 8e and a VT180. See some videos of these on line at http://declegacy.org.uk. Received two SGI Octains from Psychology at York university - used to do vision experiments for BAE systems and an Origin 2000 from the music department at York University. Finally, a Tatung Einstein with all the peripherals in it original box. Had a donation of a TI texet 1 calculator from 1973 and a Tangerine Microtan 65 machine, with full documentation and disks. Great news - Terry Froggatt has returned and fixed the Elliott 903! It ran a memory test reliably for quite a while. Only remaining issue is the speaker - which just buzzes, it should play notes as the program runs. For about 6 months I have been putting together system to read 9 track mag tapes. I now have a Sun 3 system running and have managed to read a 1980's tape form the York University Library which contains over 14,000 references on York plus software in Cobol. This was a vax backup tape, not simple on a sun. They seem very pleased, as this data was, in effect, lost. I have received a Creed model 54 teletype - an amazing machine with some spares. Finally, a large collection of small computers from their York Archeological Trust (appropriately)is on its way to the collection, more later. Lisa and Tim Robinson visited today. They founded HLH and designed the Orion Computer. They are looking to re-build No 3 of the machine and donate it to the Computer Museum in the US. Tim and Lisa Robinson reminiscing about HLH and looking at the old machines. Bumper bundle. the IBM Bluegene/L 1024 processor supercomputer arrived from Edinburgh, A Cray XD1 from the manchester supercomputer centre and a HP server all arrived in two days. The IBM was the first BlueGene into Europe when it was launched. The Cray is an interesting machine as it has fpga's in it (programmable hardware). Added details of the Meiko Computing Surface. 8th March I will be presenting at the BCS in Hull - details here. I am planning a meeting in York in the next month or so. A Cray XD1 has been donated to the collection - to arrive soon. A small SGI Origin 2000 has also been donated by the University of York. A varied collection of systems including an unopened/unused Newbrain computer has been given to the collection. 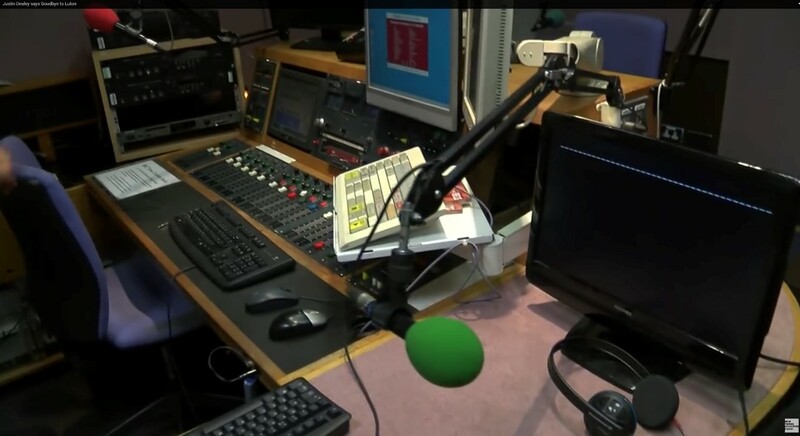 The collection was featured on Radio York, 30th Nov 2010. Listen to the broadcast here. An extended version here. Keith Oborn who used to work for High Level Hardware visited and helped identify the 7 orion's in the collection. Will be presenting on the collection at the York Philosophical Society on the 30th November 2010. Added some more pictures of the TAC, and its now upright. Got a new Cray EL 98, almost works. Got a Meiko Computing Surface (transputer array). I have been donated a pair of Digital PDP8e machines with paper tape drive and disk (RK05) from Newcastle General Hospital. The collection feature in York's "The Press". Great news, an IBM Blue Gene L has been donated to the collection. This is a supercomputer that was the 64th fastest in the world only 6 years ago, with 5.3Tf;lops of computing power, and was one of the first of this model into europe from the US. The Marcconi Transistorised Automatic Computer (TAC) has arrived. This machine ran from 1966 for 38 years in Wyfla nuclear power station on Anglesey. Note the DEC legacy Event, Windermeare, 17-18th April 2010. See the site for some great photos. The Cray SV1-1 has arrived. Added full description of the Heathkit H8 machine thats joined the collection. Added descriptions of the IMSAI 8080 with photos, also the Altair 8800. Have added information on Cray XMP and YMP cards, and osborne 1. Have taken delivery of a nice Altair 8800, details in the list. Also a large collection of DEC machines (PDP 11/83, PDP11/23plus, Microvax II, Vax 2900, PDP 11/73 and a vax 4000-200), to be listed soon!. Have a IMSAI 8080 and an odd machine an OSM Zeus 4, which has a rather nice wooden top. Have now added a page on the Cray 1 card. Have added to the site information on these items: NCR Century 100, Electronika MK90, Softy 2 and Ferret EPROM programmers. Well, things are going well. Just got an NEC SX 4B supercomputer, Sun e10,000 and another SGI origin 2000 supercomputer from Poland, along with a tape robot and a set of manuals for a Cray YMP. More on these when I have had time to look at them. Some nice small things such as a front panel off an NCR mainframe. Collected a great set of equipment from Lincolnshire including a BASIC/FOUR minicomputer from the 1970's, a drum store some paper tape punches and readers and a Minispace analogue computer front panel. Also got a Cray 1 and Cray 3 (yes, very rare) card, will add these some time. Added a link to James Carters great site that shows where computers were used in films (http://starringthecomputer.com/). Well lots has been happening, just not got round to up date this. Had a lot of visitors over the last few months. Managed to test the Elliott 903, looks reasonably well. Acquired some PDP 8 and other nice machines. I will update soon. Have acquired a drum store from the US. Amazing. Take this link. Added some notes from the operator of the Newcastle Pegasus machine. Those nice people at the Science Museum in London have found manuals for the Hollerith machine. 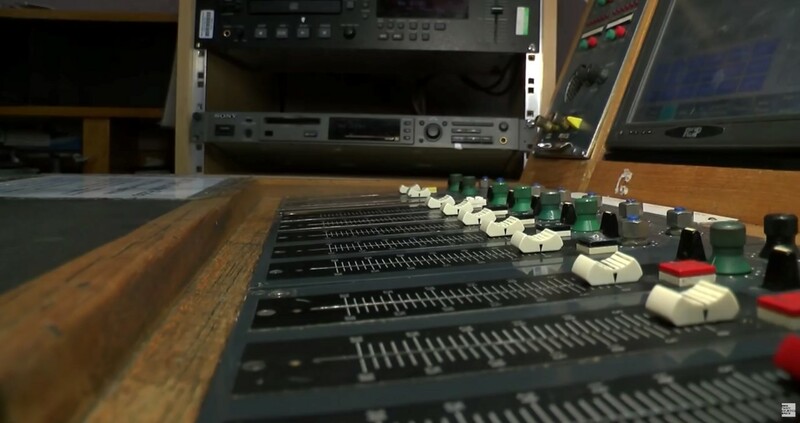 The BBC lent to the Royal Institution lectures broke, that's life with old computers. They had to drop it from the lectures. Managed to find a TCM module off an IBM 3084 like the one in the collection. Also a big set of Leo cards. Also an Altos machine. The most amazing find has been a Hollerith Reproducer from the 1940's. Its in a sorry state though. Its been a good few weeks. No news of the Power station computer. Acquired an AT&T 3B2 computer, with tape drive and manuals. Also a VT52 and RX02 floppy drive for a PDP (nice one Pete!). Also a Sinclair Sovereign calculator - gold plated! The nice chap from westland donated a military laptop. Amazing thing. Just had some people come to do a film at the barns. See here for some pictures. Sorted the shed so we can get the Power Station computer in, with luck should be here in a week or so. Booted all three SGI Origen 2000. Nice graphics and Audio display working on one. Added some recollections from people dropping me emails on the Meganode, the Elliott 903 and the Tabulator, thanks to all for these! Been given a Superbrain with a C compiler from Jonathan Stopes-Roe. Planning to pick up a 1960's transistor computer from the ex nuclear PowerStation on Anglesey - more when I have it. Mike Ross (Core Store) has some pictures of his move here http://www.corestore.org/coremove.htm. The new shed is now sorted and moved a pile of stuff out of another shed and rediscovered a bunch of stuff. Will sort this soon. I have secured a transistor computer from a nuclear power station, and some other machines... watch this space. Nice to hear about the 25th anniversary of the BBC. I have updated the information on the ICL system 25 thanks to a contributor. Working on a new shed(! ), so some re-organisation (and discovery of lost machines) will take place over the next few months. Have added a nice HP machine, and a smallish SGI Origin 2000 to the collection (thanks Stuart! ), with RAID and DLT tape. Will list in the next few days. I have acquired a brilliant Heathkit Analogue computer from the 1960's too. Added the web pages for the new machines. Finally added a nice Sinclair ZX80 to the collection. Obtained a Sun 3/150 and a small Dec 11/73 for the collection. A few new additions. A Philips P354 an accounting machine from the early 1970s, and an IBM 5360 which is a small accounting machine, both from the Nederland. Also two mechanical adding machines. All will be up on the site soon. After a talk at Hull I was given a Rekursive single board machine, this is a rather special card that was the result of a research programme and never got anywhere. Its been a busy time. A Vax 11/780 has arrived, a machine that I have been after for ages. Its not complete, but its great!. I also go a husky portable military system and a master graphics art worker machine (that turned out to be a PET in a big box) from Westland helicopters. I have added all these to the site so you can take a look. 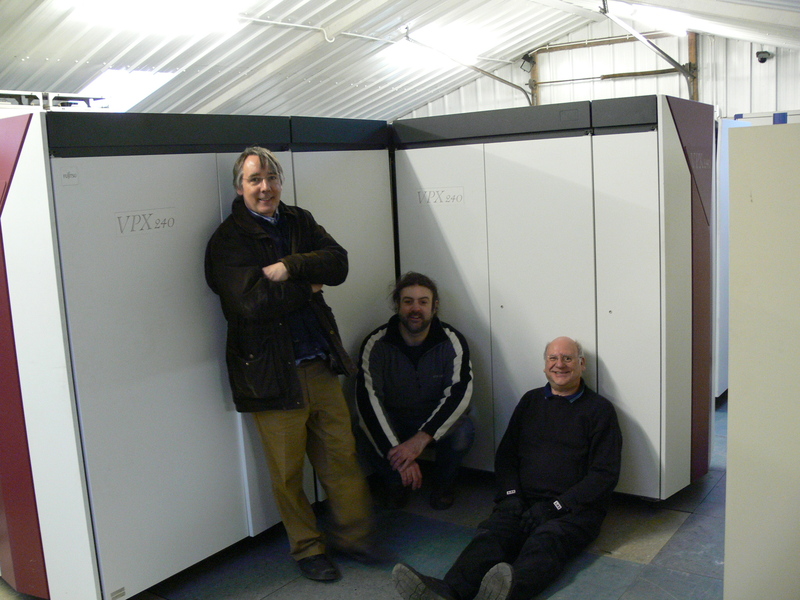 A new Vax cluster arrives in the collection - made up of Vax 4000 and 3000 machines. Parts of the collection to be shown at the University of York open day, 5th October. Great news, Cray US helped out and sent me a plug for the Cray EL98 machine. The system now boots up mostly OK. Just the main OS does not run (pity!). Working on that. (Richard Jennison also fixed the broken power supply... thanks!). Also got a new Prime and a nice ICL machine. More on that when I get a moment. Lots of other nice machines are possible, under discussion, watch this space. Well, the Cray almost works - found out that it has a plug missing from the control unit, that tells the machine that its a double cabinet machine. Without it, I dont think there is much hope of getting it going all the way. Just about boots the OS. Any one who has a double cabinet EL98, can I copy this plug! Its hidden in the main control box (the one with the big red button on), and is plugged into the upper ribbon cable - you will see it if you look inside. The other two EL98s sort of run also now. Also added some recollections on the Elliott 903. Cray EL98 is a now booting most of the way, just a few more minor problems to solve! Have acquired a nice ACT Sirius 1 with software and manuals, working. The Cray EL98 that I got from London is now just about working. Problem on one Power supply unit, but boots off the front end processor. Have taken delivery of a Commodore 8032 (pet like) machine, an IBM PC 500 System/390 - a small PC mainframe. These have been added to the web site. Also a very large collection (over 40 home machines and magazines) from David Harrison. Added some information on the Cray and SGI machines. I have acquired another SGI Origin 2000 from the University of York. This machine was one I bought in 1997. Its been a good Christmas. I am to collect two Origin 2000 supercomputers from York, a Cray EL98 from London. I bought a SC/MP development system from Holland, and was given an iMAC by my sister. The SC/MP has been added to the web site so far. Four new machines and a massive collection of games added to the collection (over 1000 cassettes). The machines were two MZ80A, and A Tatung Einstein and a Genie 1. At some point I will list all the games, also they include a good set of cover disks that add to the magazines nicely. Computer collection on show at University of York in the Computer Science open day. Added more magazines. Added a list of the 1800 magazines in the collection. New donation of a Hewart 6800 from Peter Appleyard. Collection (and me!) filmed for BBC 10.00pm news to celebrate the 25th anniversary of the launch IBM PC 5150 PC, new page added about this. Shed getting sorted with nice shelves for display. Collection filmed for Discovery TV programme "How did we get here?" this is to go out early next year. Click here for details and photos! Computer collection gets filmed for a part of a programme on TV! More details later. Got PET 2001 and a Apple IIe going. Got data off the Covnex machines broken console machine. Sun 3/280 arrived, lots of terminals too. Also new MicroVaxII and a Sinclair spectrum + 2. Awaiting a new Sun for the collection. Added some Nascom manuals and some software for the Altair. One of my own computers has arrived in the collection. I have been working on neural network machines for some time (see University web site). Cortex I is a neural network associative memory machine, containing about 30 PCI neural network cards. Its now been superseded by Cortex II (sold by Cybula Ltd. www.cybula.com). Vast collection of old HP machines arrives - it will take me ages to sort. Thanks go to Bryce Kearey who carefully collected and looked after these machines. With this the collection has about 440 machines. The IBM S/360 Enterprise Server Generation 5 - has arrived! Thanks to Pete Turnbull and Mark Lodge we got it out of the lorry. Really bad news, Freeserve deleted my account. Now moved to demon, and so all should be back - new domain name registered - pity about the last one. All those who have it will not find me any more. So PS3 is now converted to a nice snug shed. First class job done. Just need to put down the raised floor then we can kit it out. May be delayed a bit as I am doing some work on a land rover for a short while. Next delivery is an IBM mainframe from Warwick University, that should come in the next week or so. More details then. A big collection of HPs is awaiting collection, that should be a great addition to the collection. Bought a MONROE 990 calculator, Nixi tube and discrete login, 1971 machine, very nice. A donation of three machines from Brian Tompsett at Hull University, an SGI machine, Data General Nova 2 and an i860 machine --- more details to come. Seems that I cant keep the Tabulator. Trying to get a home for it in the Computer Science Department (University of York). The next phase of getting the collection into a nice building is happening, PS3 (pig shed 3) is about to be converted. HP 9000 216, Apple III, Osbourne portable, Superbrain QD, Tandy TRS 80 Model 4, Two IBM 5155 portable PCs, Compaq portable II, LinoType Paul APL 100/200 (apple II in a box) and Commodore PET 2001. All are now on the web site. Found out that the tabulator belongs to the UK Science museum, seems that they lent it to ICL some time ago. Asking if I can keep it for them. A number of Sun Sparc's have been added to the collection along with a quantity of s-bus cards and memory for Suns. A dedicated page to the Elliott 903 has been added with some more details. 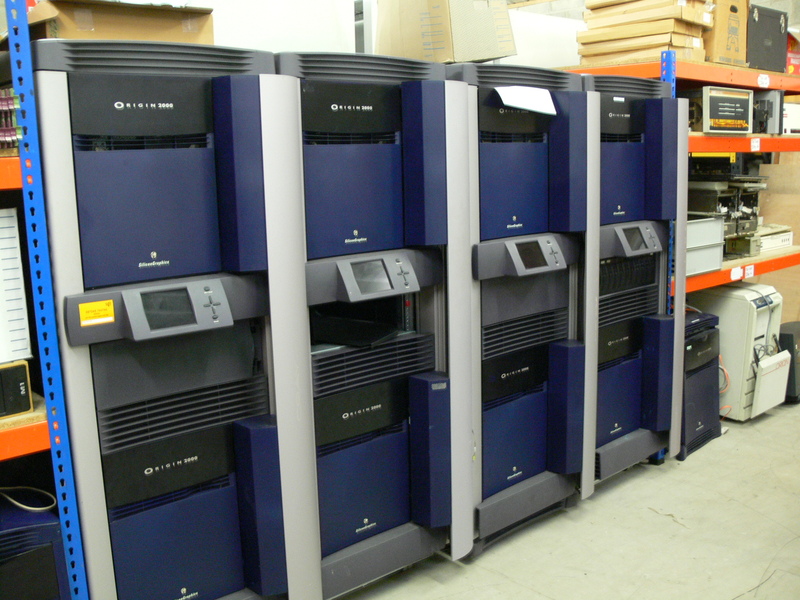 John Copper has contributed a complete HP 1000E system, with two tape drives, 4 disk units, screens, manuals and tapes. This was given by DTZ who wanted it preserved. John Looked after it for 5 years in his front room! See here for details. A number of new machines, in particular a mits altair 8800b - great machine in very good condition, some new laptops have been added. Also a nice Nascom 2 machine, Sinclair ZX Spectrum+, Atari 1024 and an Amstrad128K personal computer. Donation of some small items (Atlas core plane and brushes, IBM and Amdahl chips in resin blocks) by Bob Hopgrove who is working on a web site on the history Atlas Computing Labs (see http://www.chilton-computing.org.uk/acl/). Added many more details to the IBM 3084 machine and the HP 1000 and 3000 machines that came from Bristol. I have had delivery of a Powers-Samas Tabulator and Sorter, as well as a EMI waveform monitor. Also added pages on madas, Brunsvlga and Bell calculators. Also an avid Xerox 6805 enthusiast sent info on these machines. See the page for details. Had a visit from Kevin Haydon with a car full of computers including a Sun 2/120 made by computervision, and a Cadlinc system. Both will be added to the list in due course. Also Gary Morgan decided to clear his house out and donate a few Suns to the collection. Thanks to every one for these. 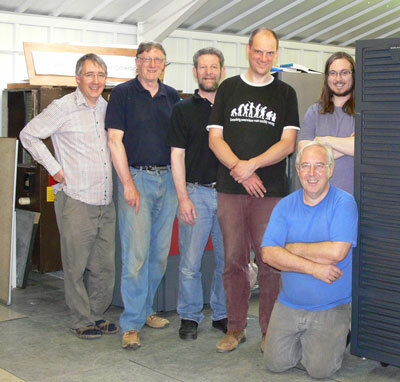 Some of the guys helped get the Cray T3E back in to PS 2 (Pig Shed 2) for re-commissioning. All cards are now back in place and I now just need a big cable to get 3 phase to it! Two portable computers have been added, kindly donated by David Sterratt from Edinburgh. These are Psion MC400. 1989 portable computers. Also added some pictures of the Jupitor Ace (complete with a moonlander cassett!). Data General Eclipse S/120 and SWTPC S/60, Sun 3/80 machines have been added. The former from Bristol University. 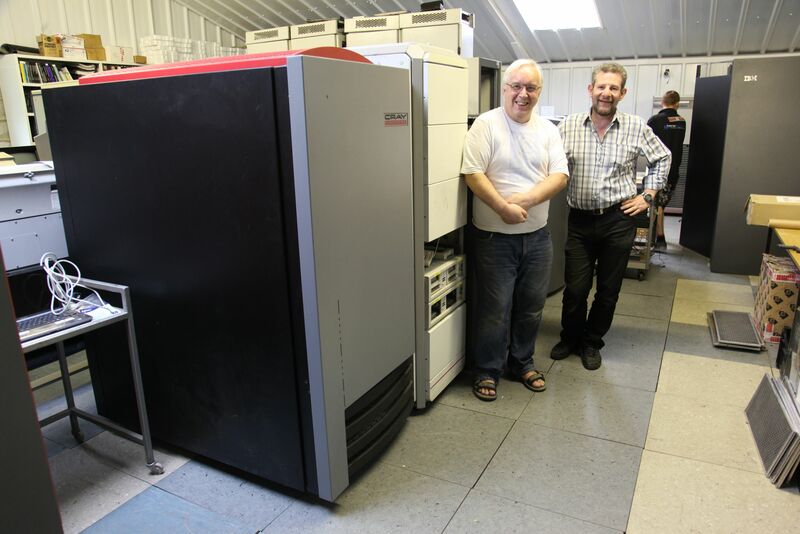 On Jan 4th, took delivery of Cray T3E AC with 28 Processors from the UK met office. See the main image link to find details. A Convex SPP 1000 super computer has been added. Collected from Tularik Ltd. and given by kind donation. The machine is said to run, but not booted it up yet. Its probably the best looking machine in the collection! Photo to follow. Just obtained parts from a Pegasus 2 machine (1962 vintage)! Development of a new building to house the machines is continuing with the delivery of 2000 sq feet of raised flooring. Peter Cowley has donated a Nascom 2 single board computer. One of those 'I remember them' type machines. This is rather nicely housed in a wooden box and has some expansion fitted.